Suspected Boko Haram militants raid and burn the village of Mailari in Borno State, Nigeria, killing six people. Suspected Islamist militants launch a raid in Borno state, leaving several villagers dead. 2017-07-30 Boko Haram insurgents ambush an oil exploration team in the Magumeri area of Borno State, Nigeria, killing at least 69 people. 2017-05-6 Nigerian officials report, as a result of negotiations, Boko Haram has released an estimated 82 schoolgirls who were among about 220 kidnapped from a secondary school in Chibok in Borno State in April 2014. 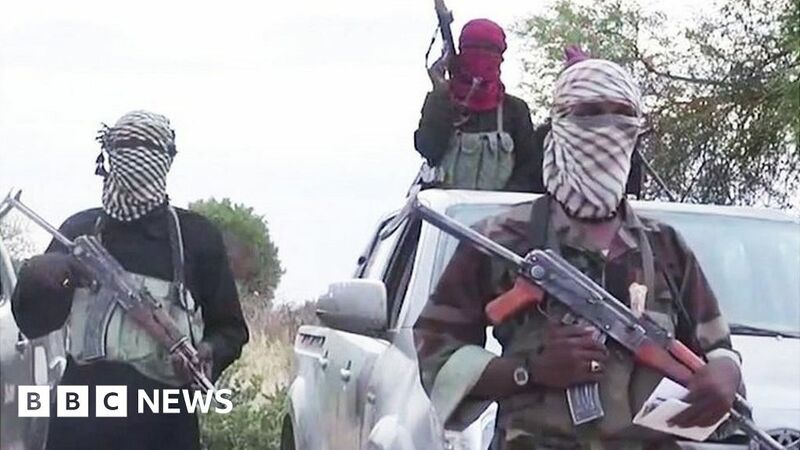 2016-07-29 The United Nations suspends aid to dangerous areas of Nigeria's northeastern Borno State following Thursday's attack by Boko Haram (ISIL in Africa) on a humanitarian convoy where two soldiers and three civilians were wounded. However, UNICEF noted, aid will continue to the capital Maiduguri. 2016-06-26 Fighting in various remote villages in the Borno State of Nigeria kill at least one civilian and six Boko Haram militants. According to the Nigerian Army, they've rescued more than 5,000 hostages from the militants. 2015-12-15 At least 30 people are killed after Boko Haram militants attack three villages in Nigeria's northeast Borno state.